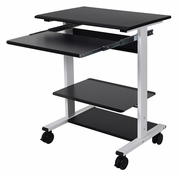 Workplaces in need of tools that will enhance collaboration, increase creativity, and improve employee health need to look no further than the Three-shelf Adjustable Stand Up Workstation. This compact standing desk fits into any environment, and its four rolling casters, two with locking brakes, make both mobility and stability simple. 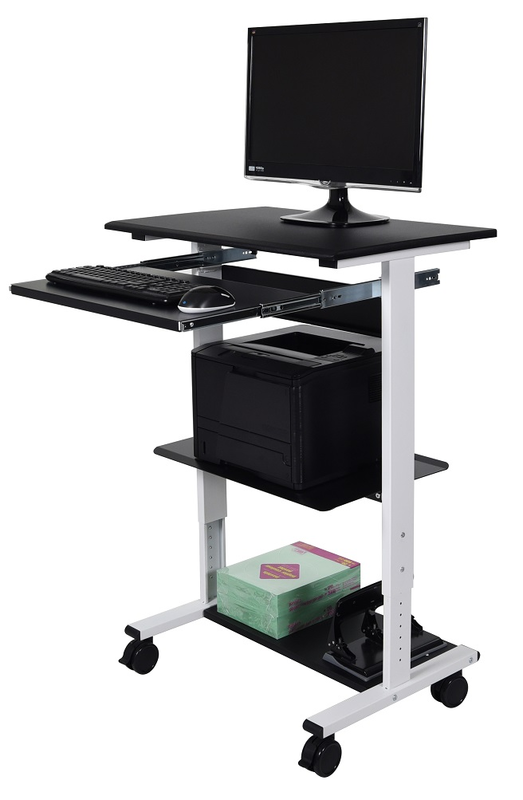 With a wide spectrum of height options (34.5-45.5″ in 1″ increments) and a keyboard shelf on a rolling track, this standing workstation can meet a wide variety of needs.